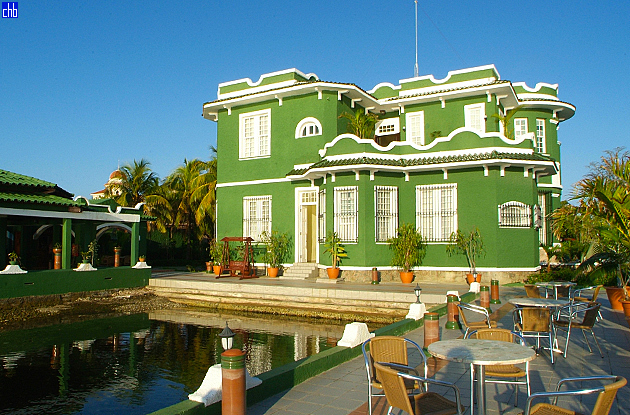 The charming 'Green House Hotel' was built on the Cienfuegos' Punta Gorda in 1920 & originally called the Chalet Masonry. In 1929 it was owned by Agustin Garcia Palacios. 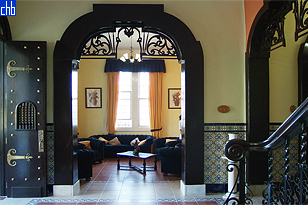 The building was more recently restored by the Gran Caribe hotel chain, & reopened as the Hotel (Encanto) Casa Verde in 2009. 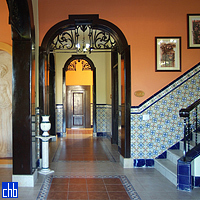 The Casa Verde has a bar offering continental breakfast; and drinks, coffee, sandwiches, light snacks, etc throughout the day. 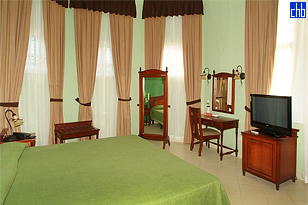 Lunch & dinner are provided at the adjacent Hotel Jagua. Casa Verde Clients can also use the Jagua swimming pool. I stayed there for 2 nights in May 2013 and loved it. Highly recommended. 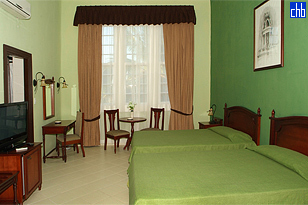 The Casa Verde has just 8 rooms, for 1 or 2 persons. You should book well in advance. Six of the rooms have two beds, and the other two rooms have one kingsize. 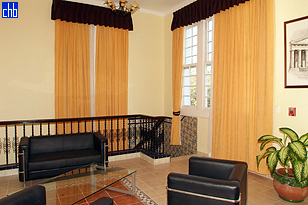 All rooms have natural light and the TV is a large plasma.